Storyboard Ending: Jodorowsky's movie may not technically exist, but, as Pavich's entertaining documentary demonstrates, that doesn't mean it hasn't influenced generations of sci-fi filmmakers. I think we can agree the best Dunes are the ones that don't get made. Frank Herbert's opus has had the hell adapted out of it since the first book's 1965 release. Iterations include a 1992 video game, at least two TV miniseries — Dune (2000) and Children of Dune (2003) — and an eight-hour Spanish movie made in 2007 with home computers. All these share a special terribleness that the source material seems to bring out in even the most gifted filmmakers. The first feature was set to be directed in 1971 by, of all people, David Lean. He thought better of it. Ridley Scott was offered the job in 1979, accepted and then thought better of it. The Hollywood version ultimately was made by David Lynch — a logical choice with Eraserhead (1977) and The Elephant Man (1980) to his credit. Cineastes across the world anticipated a one-of-a-kind moment in movie history. They got it. Lynch's Dune is universally considered the Gigli of art films, an embarrassment virtually unrivaled in the annals of the medium. Talk about a waste of space. As we learn in the tremendously entertaining documentary debut of Frank Pavich, Lynch's folly nearly didn't come to pass. Before Dino De Laurentiis purchased the Dune rights, they belonged to a Chilean guru-mime-auteur named Alejandro Jodorowsky who'd achieved cult status as the creator of the midnight movies El Topo (1970) and The Holy Mountain (1973). The director spent two years trying to get his vision off the ground and came this close. What makes this story remarkable is that Jodorowsky's Dune wound up among the most influential motion pictures never made. The guy didn't shoot a frame and still changed the course of science fiction. Jodorowsky isn't the only person to hold that opinion. Pavich marshals a small army of talking heads to testify to the filmmaker's genius for recognizing and recruiting innovators. It's a gas and a half to listen to the war stories of Jodorowsky, now 85, and others who were there. They include Swiss set and creature designer H.R. Giger — who died this past Monday at age 74 — and British illustrator Chris Foss. Appearing in archival interviews is the late effects artist Dan O'Bannon, whom Jodorowsky chose over Douglas Trumbull because he considered the 2001 designer too full of himself. This from a guy who claims his "sacred film" would have changed the world. The film's high points include stories of adventures in casting: Salvador Dalí signed on to play the Emperor of the Galaxy for $100,000 a minute. Orson Welles agreed to the role of Baron Harkonnen once assured his favorite Paris chef would be available, while Mick Jagger approached the filmmaker at a party in a trance. There's also a hilarious account of Jodorowsky watching a screening of Lynch's adaptation filled with dread — until a few moments in, when he gleefully realized that "the picture was awful!" Pavich concludes on just the right note, sidestepping the reality that his subject's vision was so impractically grandiose, no studio was ever going to bite. Instead, he credits Jodorowsky with assembling a visionary cadre of "spiritual warriors," a crew of misfit geeks who together went on to create Alien with Ridley Scott, and whose groundbreaking concepts for Jodorowsky's film found their way into countless sci-fi classics. In a memorable sequence, Pavich matches material from Dune's storyboard book to iconic scenes in everything from Star Wars to The Terminator. 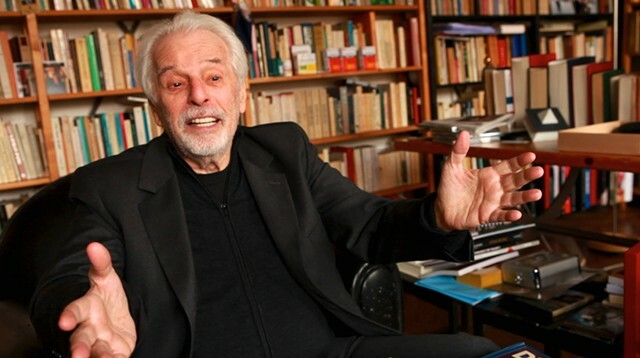 Jodorowsky's Dune is a funny, fascinating rumination on art, ambition and the fickleness of fate. It's also unique in the history of film: a documentary that goes behind the scenes of a movie for which not a single scene was ever shot. Jodorowsky's Dune is not showing in any theaters in the area.